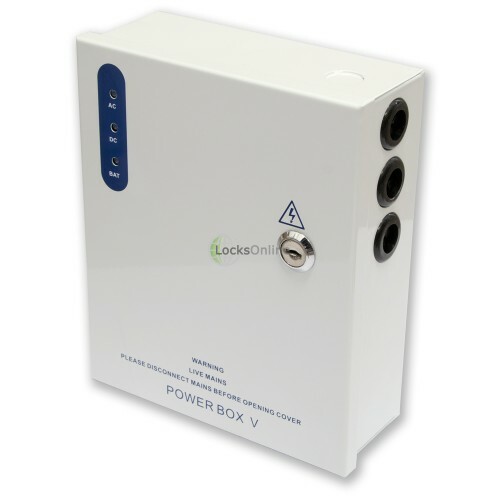 Small but mighty, and very pocket-friendly; the LocksOnline PowerBox V packs a phenomenal power output of 5amps at 12v DC, while measuring in at less than 180 x 220mm x 75mm, and weighing a mere 1.5kg! 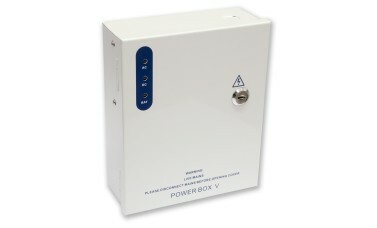 This incredibly compact and powerful power supply comes boxed in a lockable powder-coated steel case, which despite its minimal proportions, can still house a 7Ah backup battery, making this a perfect all-rounder, ideal for installation in tight spaces, or even just for a cleaner looking install with minimal bulk! 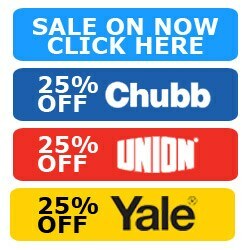 Back in the day - which most installers of access control, CCTV, alarm systems and so on will remember - if you wanted to fit a 5amp power supply you'd really have to strongly consider where it would be fitted, as the casings would be bulky, unsightly and quite generally obnoxious, and had to be accepted as a principle of function over style. 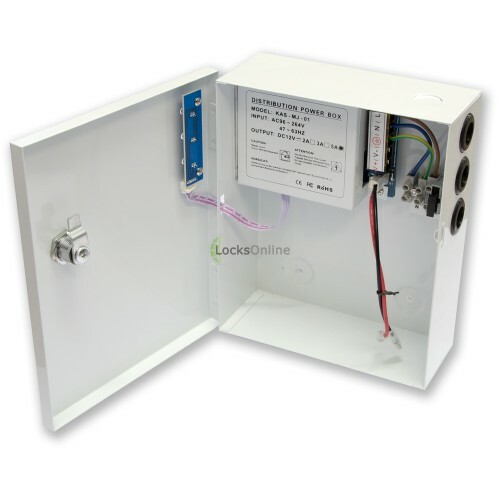 Luckily, with the Power Box V from LocksOnline, no longer do you need to mount a large ugly box to the wall! 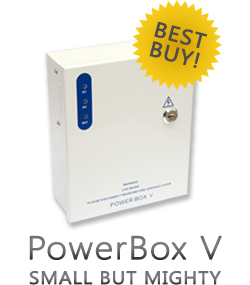 While the Power Box V is a small and compact unit, it does not compromise on functionality or durability. 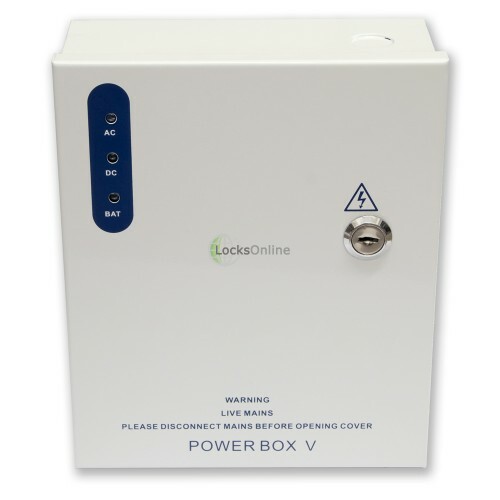 The output voltage and load is regulated to ensure accuracy, with a tolerance of no more than an extremely impressive 1%; the electrolytic capacitors used are all long-life capable of withstanding 105°C temperatures, and comes with a full 12month warranty as standard. 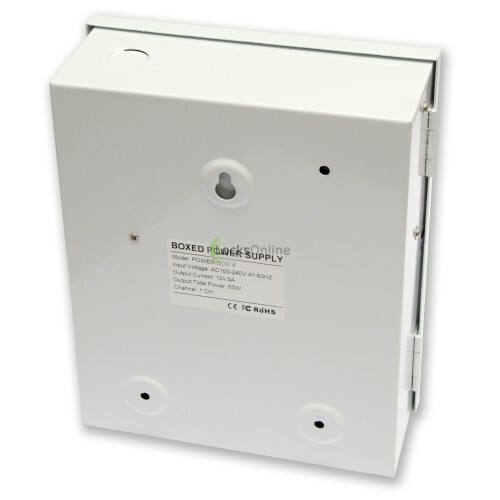 The door features three LED indicator lights, showing the status of the AC input, the DC output, and the Battery (if fitted). 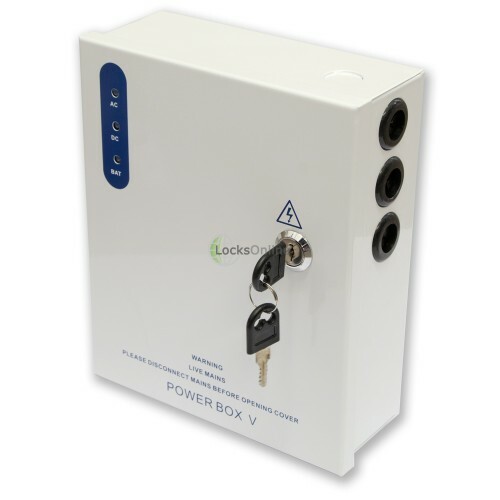 The key-lockable unit ensures that nobody can open the housing without authorised access, this is for both safety and security. 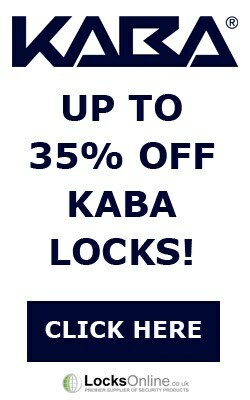 On the metal case you will see three wiring holes cut into the side, with rubber grommets fitted to protect the cables, and to prevent ingress of dust and debris. 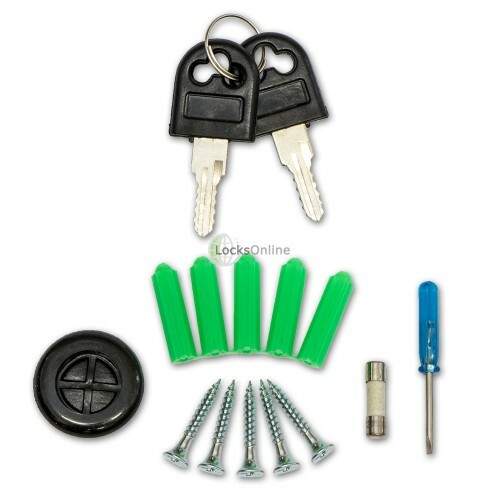 In addition to this, there's a fourth hole in the top of the unit, which is sealed off initially, but can be used by popping out the metal, and utilising the extra rubber grommet supplied in the accessories pack. 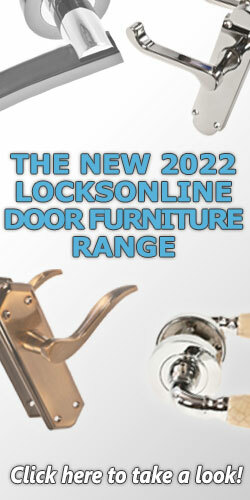 And finally - last but certainly by no means least - we have to point out the pricing on these is absolutely unrivalled. 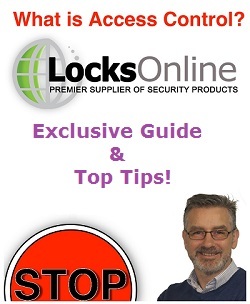 Thanks to the powerful relationships LocksOnline has been able to form over the years in this industry, we are able to offer our customers this incredible bit of kit at a jaw-droppingly low price! 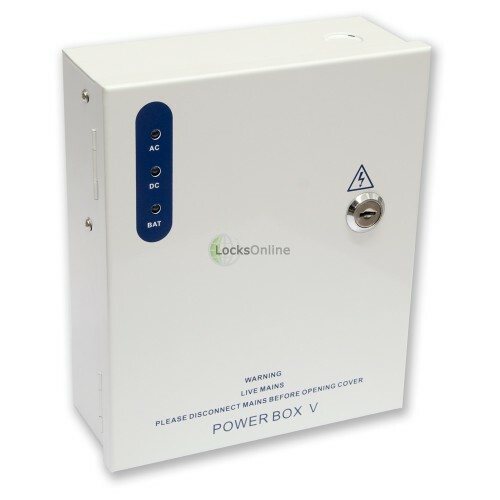 Power Box V - What's In The Box?